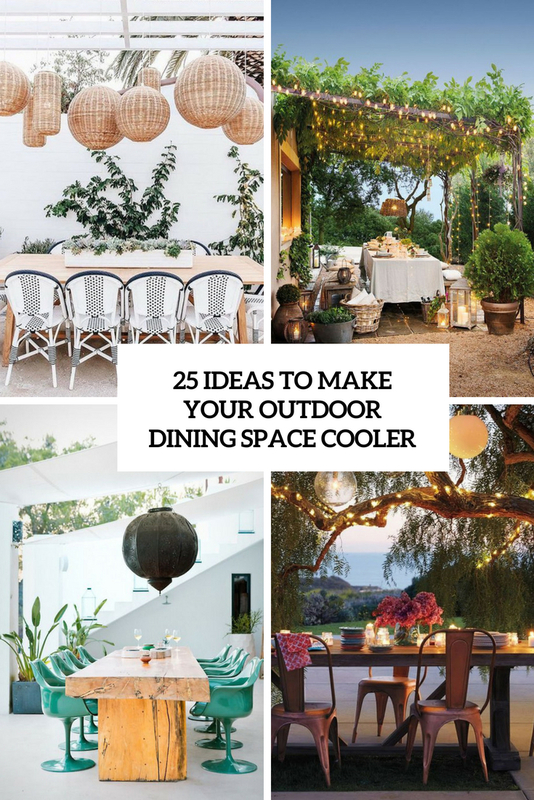 It’s the middle of summer and everyone is trying to spend some time outdoors to enjoy fresh air and sunlight. 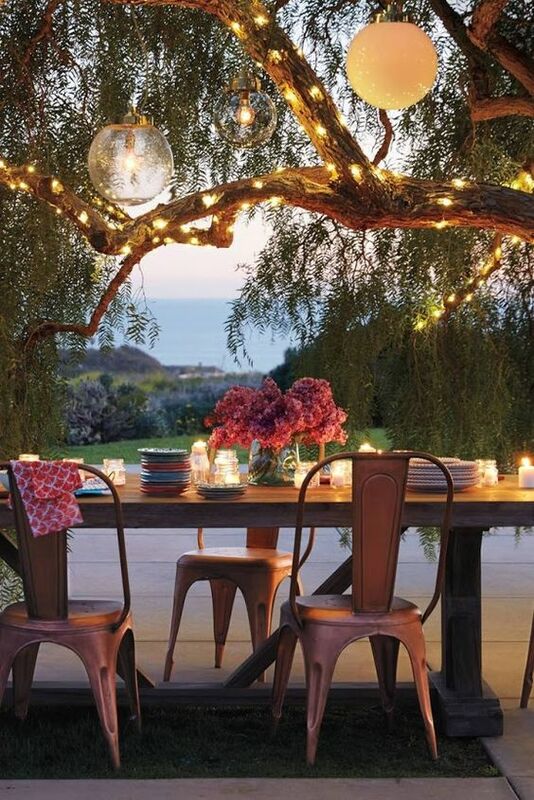 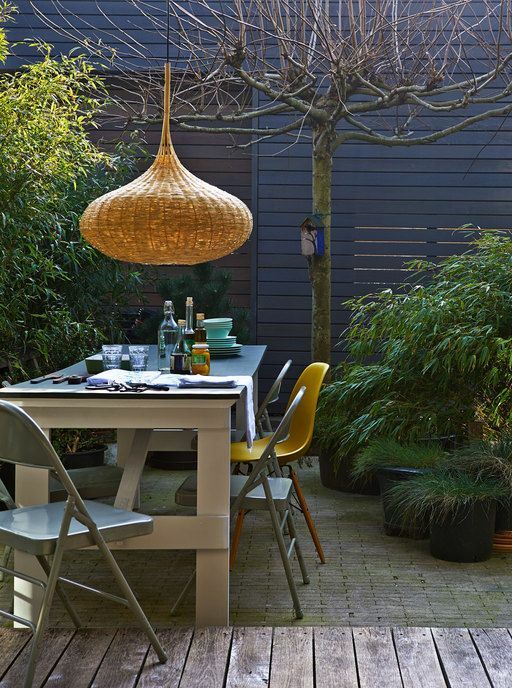 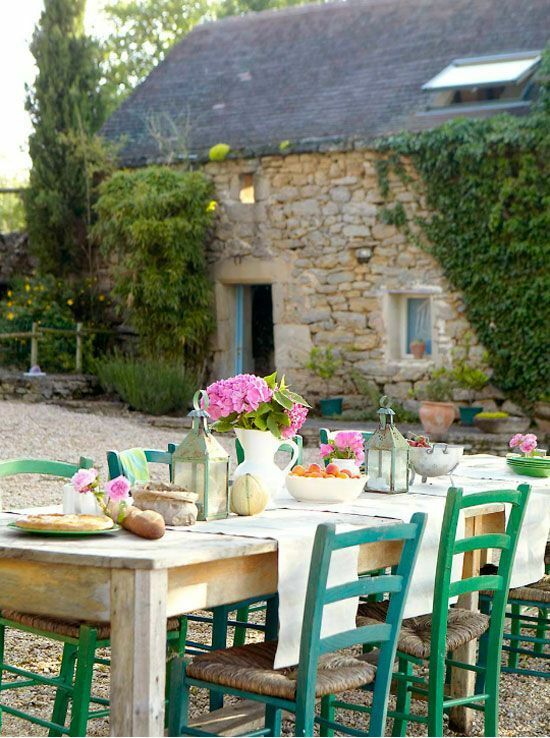 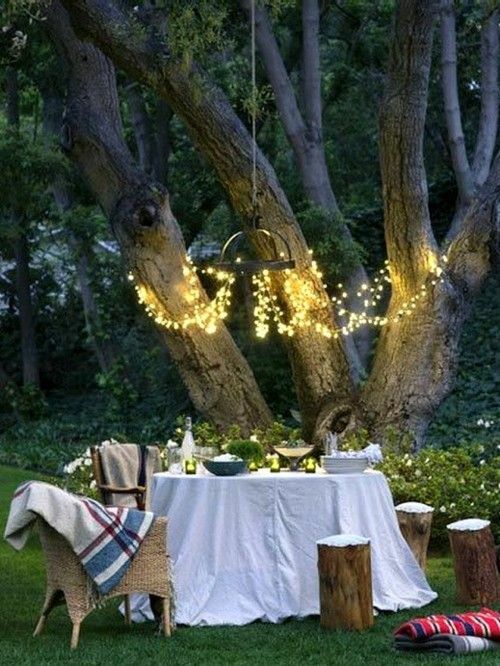 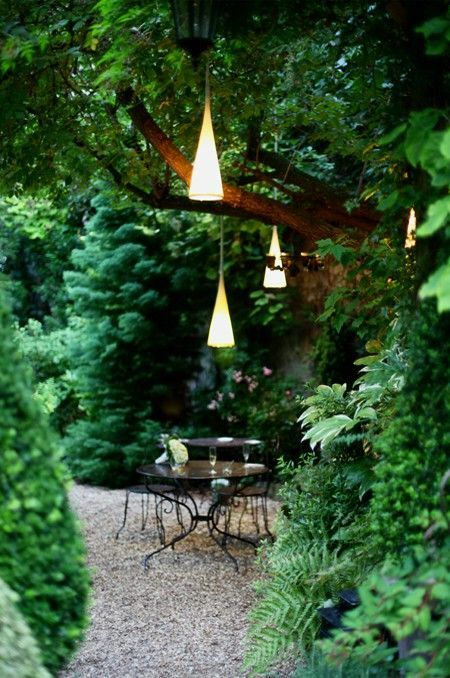 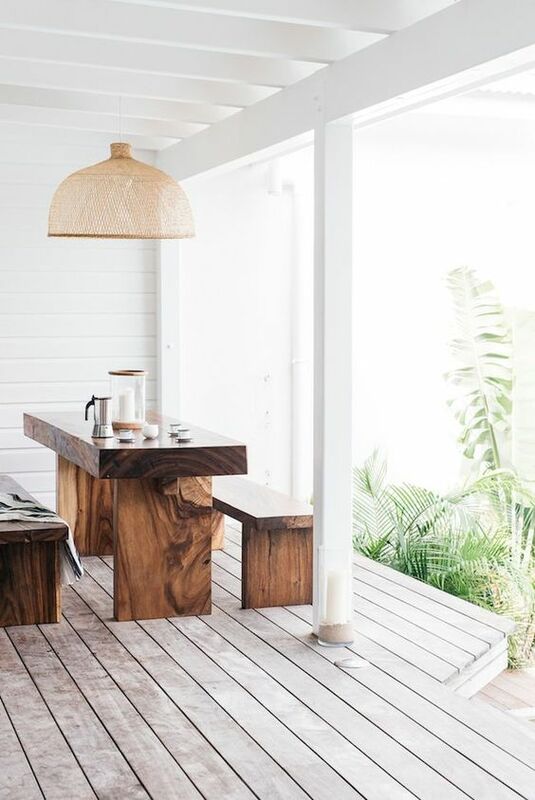 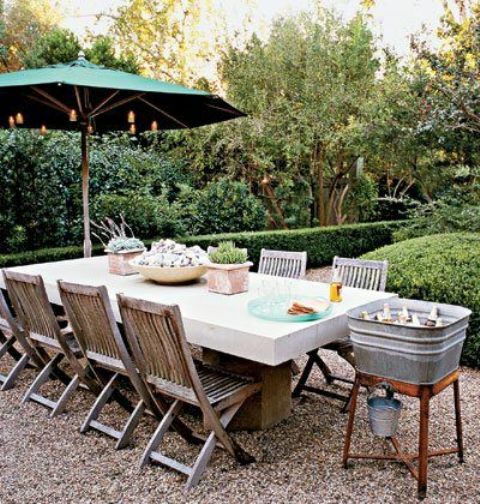 Dining outdoors is a great idea, I must say that I totally love it, if you too and if you have an outdoor dining space, a small or a large one, it doesn’t matter, you may spruce it up a little bit and add a fresh touch to your space to make it more welcoming. 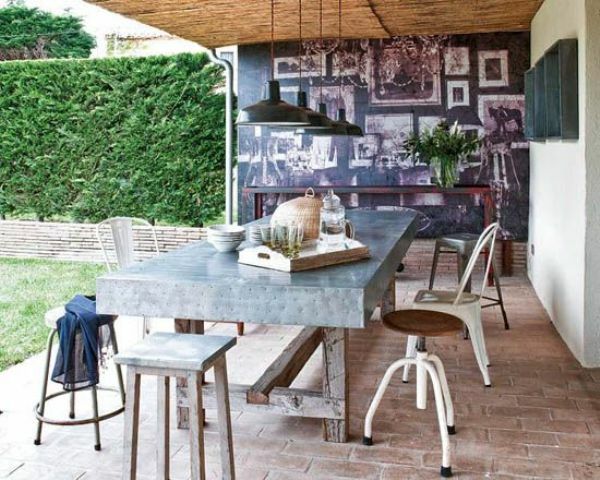 Here are some ideas to quickly change your outdoor zone into an ultra cool and edgy one. 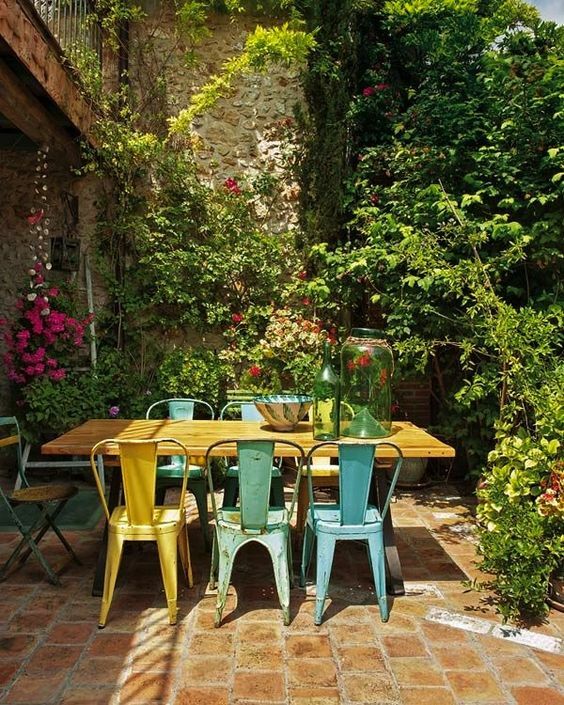 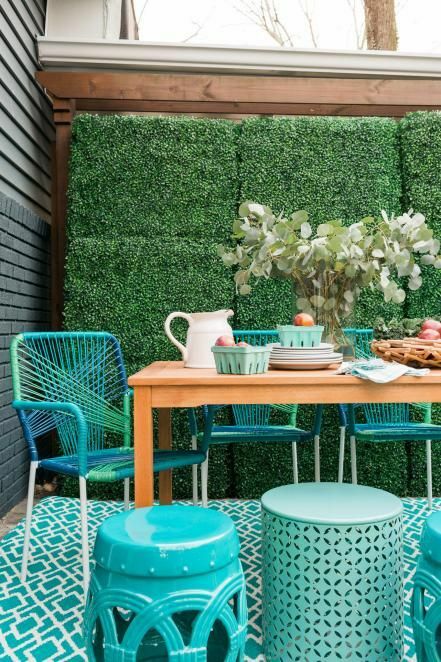 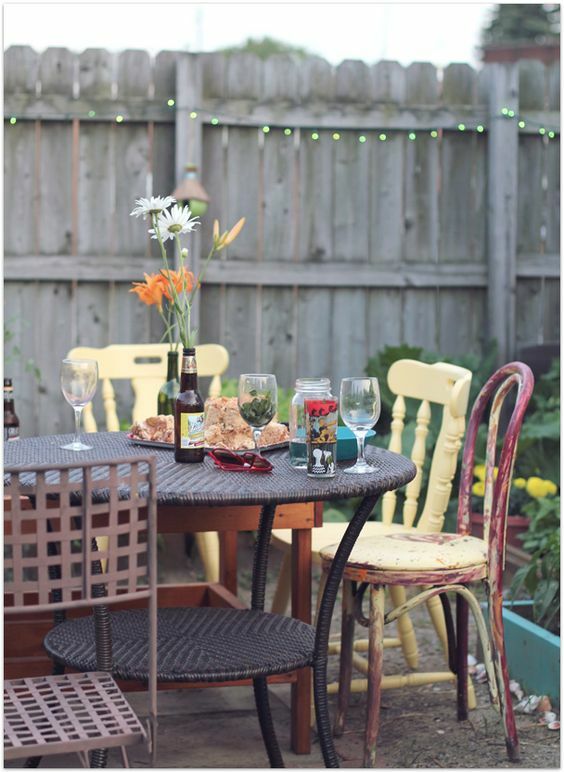 The easiest way to enliven your outdoor space is to add bright colors, and there are many ways to do that. 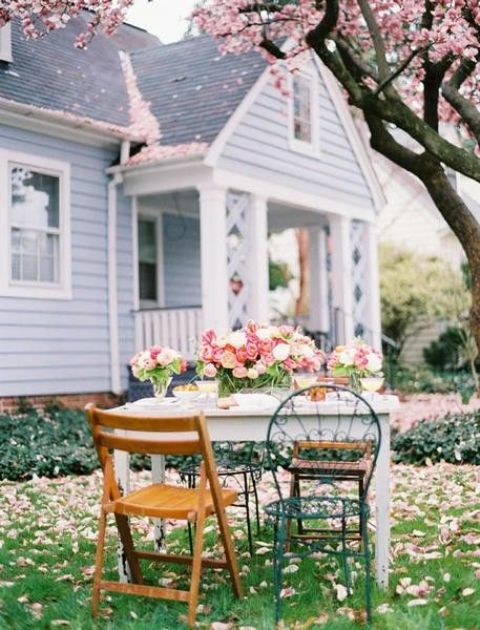 First of all, you may choose a colorful dining set but if there’s no such thing at hand, take some paint and make bright furniture yourself painting the whole set or only the chairs, for example. 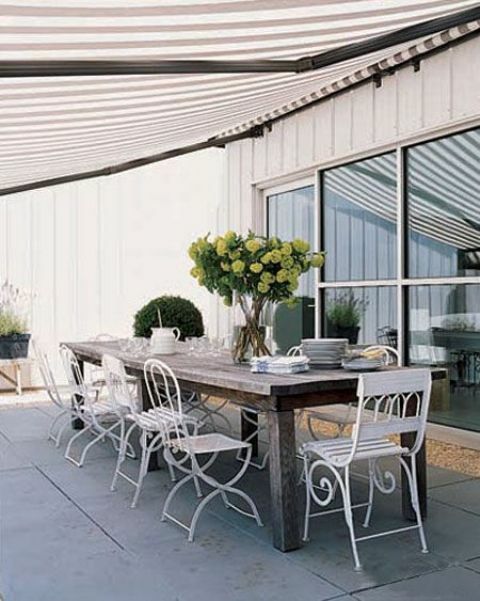 Second, textiles can be a nice idea to spruce up the space without spending much money. 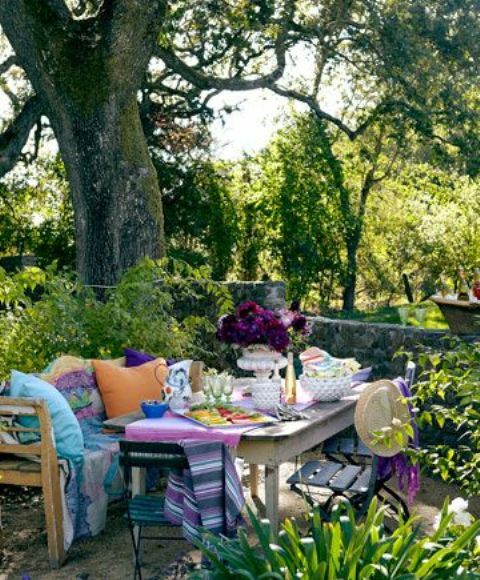 Bright cushions, pillows, blankets and table runners plus napkins are right what you need to make your space bold and cool. 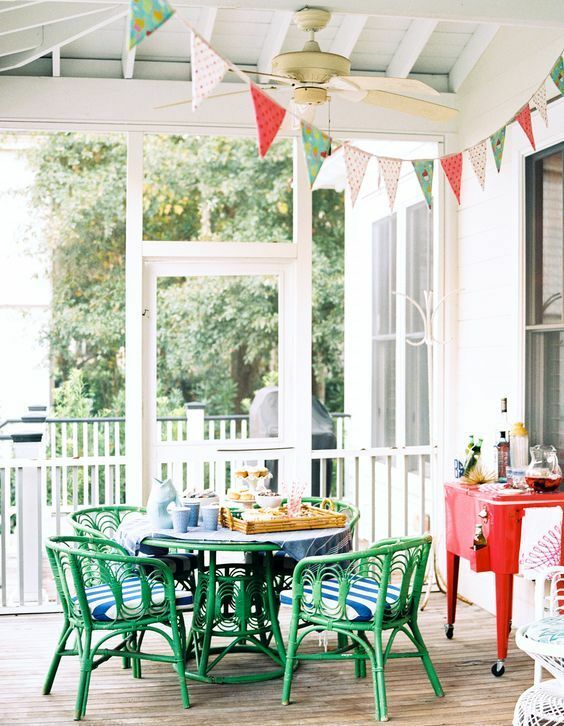 A mismatched dining set is a super hot trend right now, and it’s applicable not only indoors but also outdoors. 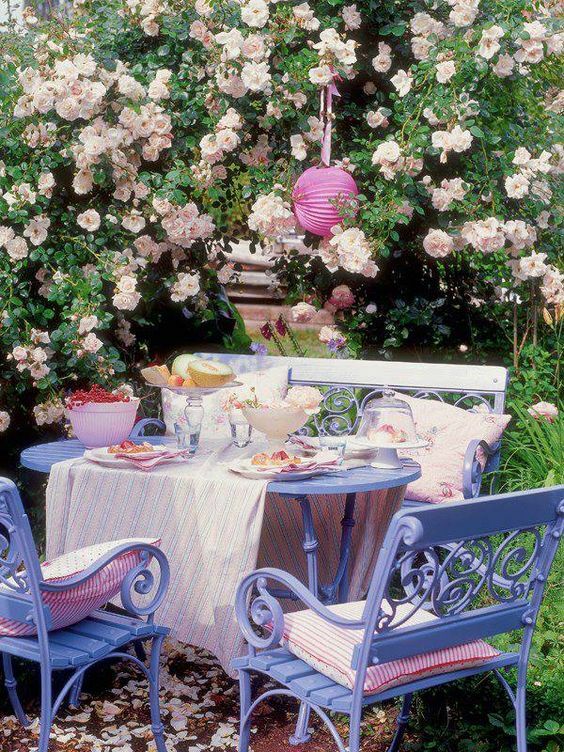 I mean not just the colors, it’s about different and even contrary styles. 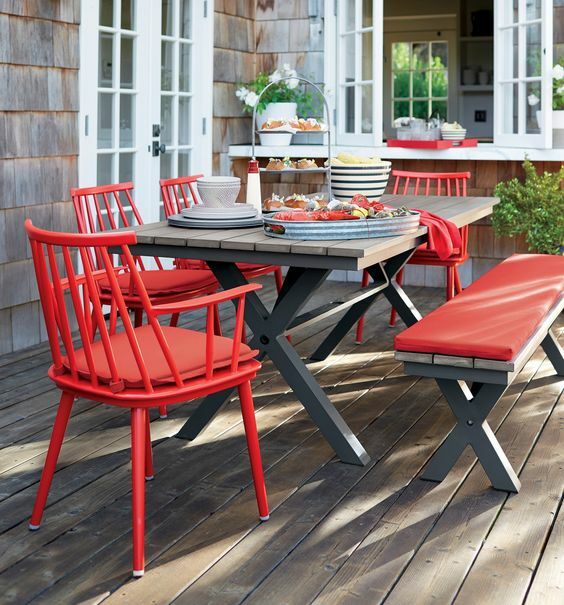 It may be a modern and sleek table and shabby chic or rustic chairs, a wooden slab table and ultra-modern sleek plastic chairs in some bold color and much more. 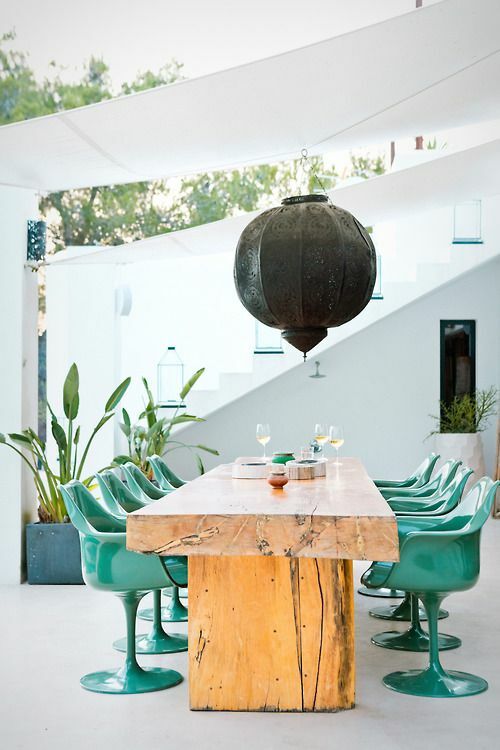 The more the difference between the table and the chairs is, the cooler it looks! 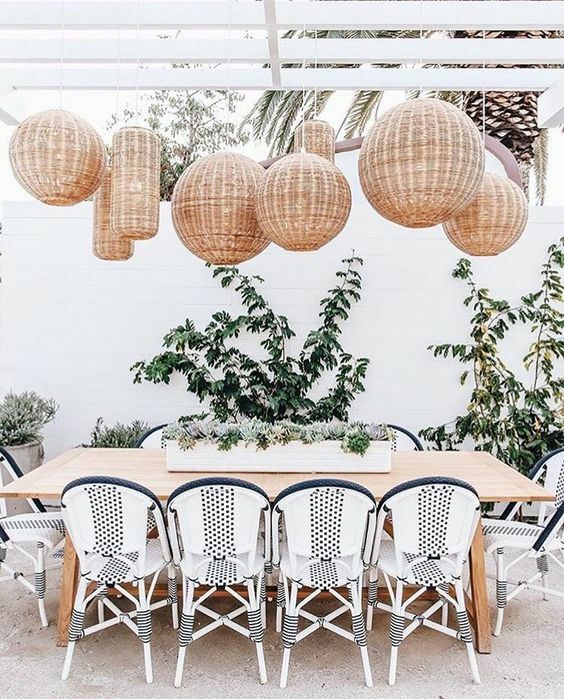 Wicker and rattan are traditional for outdoor spaces, it’s timeless classics, and adding some of such touches can be a very welcoming idea. 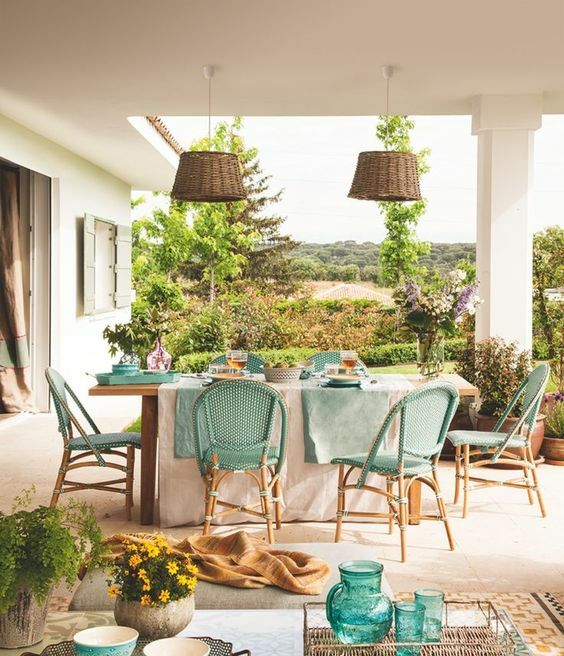 Go for wicker chairs in various colors (avoid retro touches if you don’t want a vintage look) and try wicker lampshades. 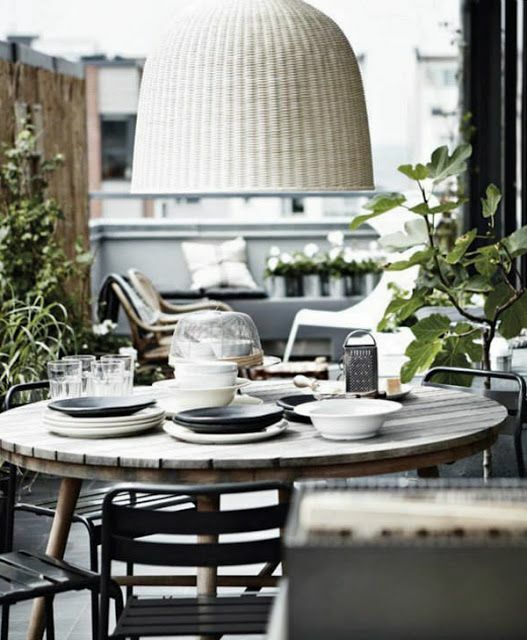 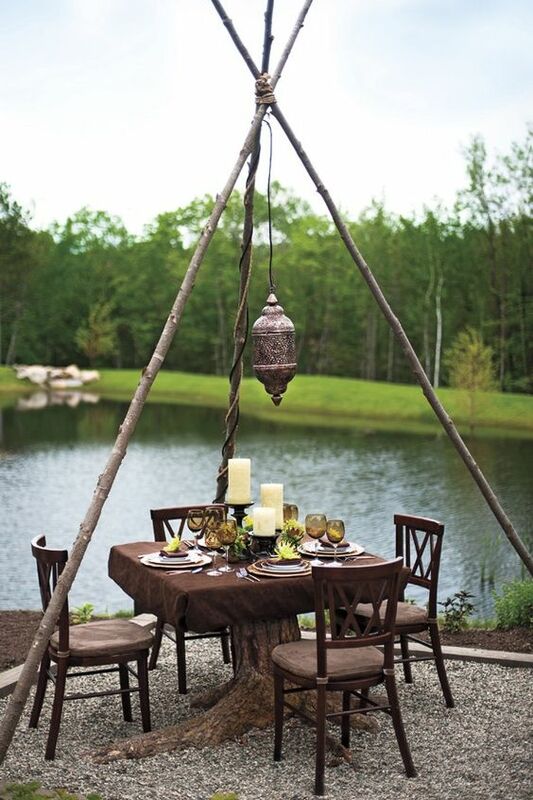 Go for wicker lampshades of eye-catchy shapes or hang a whole arrangement of wicker lamps over the space. 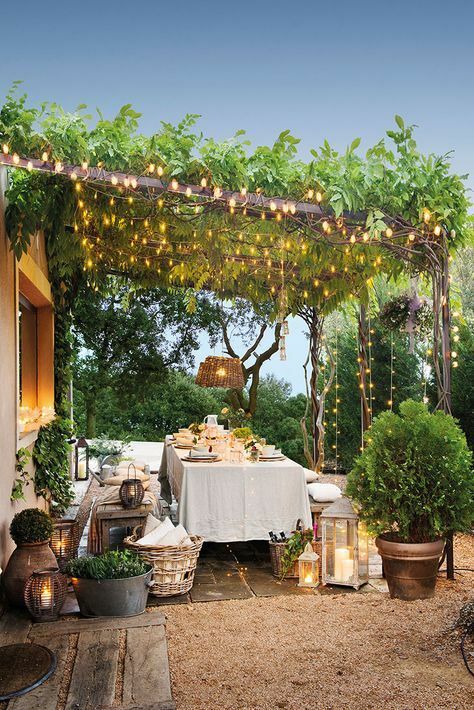 Lights always make a space very welcoming and inviting, and if you add some, your space is gonna be amazing. 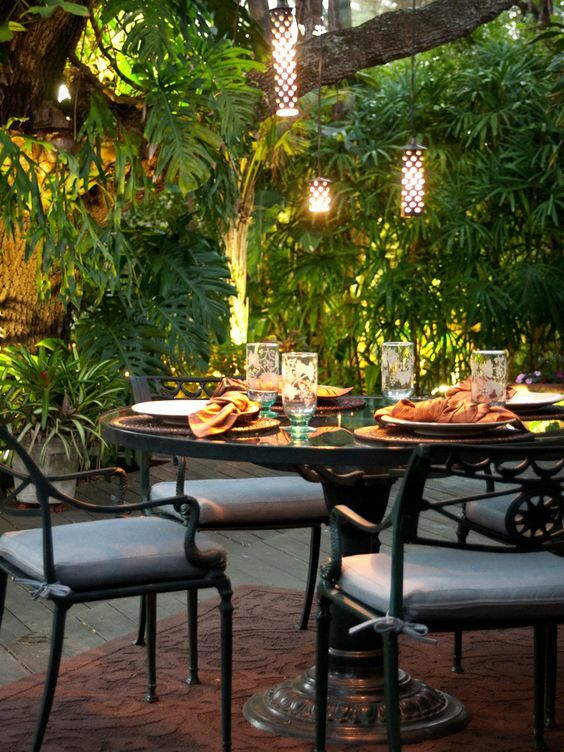 Lights, lamps, candle lanterns and candle holders are right what you need for making the space illuminated and cozy even at night. 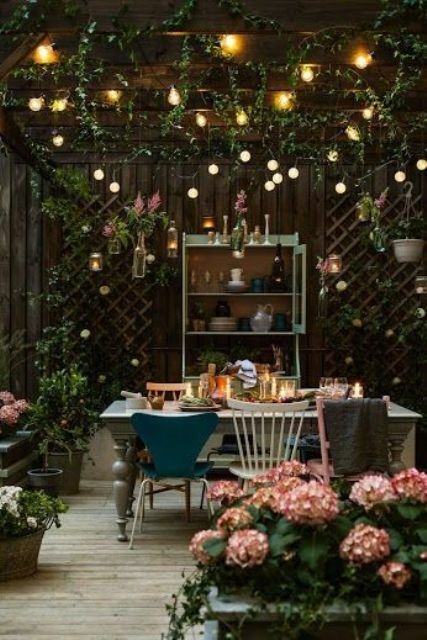 Provide several different types of lights to make the space even cooler.